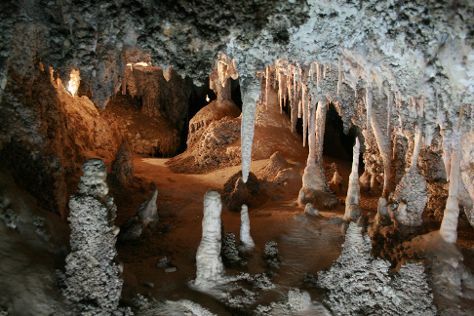 Step out of the city life by going to Jenolan Caves and Kiama Blowhole. Step off the beaten path and head to Blue Mountains and Art Gallery of New South Wales. You'll find plenty of places to visit near Sydney: Katoomba (Wentworth Falls, Bridal Veil Falls, & more), Starfish Education Centre (in Kiama) and Cathedral of Ferns Walk (in Mt Wilson). Next up on the itinerary: take in the spiritual surroundings of Nan Tien Temple, enjoy the sand and surf at Shelly Beach, contemplate the long history of St. Mary's Cathedral, and make a trip to Macquarie Lighthouse. To find photos, reviews, and more tourist information, go to the Sydney trip itinerary website . Use the Route module to find travel options from your starting location to Sydney. Expect a daytime high around 30°C in March, and nighttime lows around 22°C. Cap off your sightseeing on the 9th (Sat) early enough to travel to Cairns. We've included these beaches for you: Palm Cove Beach and Trinity Beach. Popular historic sites such as Historic Village Herberton and St Monica's Cathedral are in your itinerary. Venture out of the city with trips to Wildlife Habitat Port Douglas (in Port Douglas), Daintree National Park (in Cape Tribulation) and Rainforest Gems Gallery & Studio (in Tolga). Spend the 11th (Mon) wandering through the wild on a nature and wildlife tour. There's much more to do: look for all kinds of wild species at Mossman Gorge, soar above the sights with a balloon tour, take a memorable tour with Tours, and cool off at Sugarworld Waterpark. To find where to stay, maps, traveler tips, and tourist information, use the Cairns driving holiday tool . Traveling by flight from Sydney to Cairns takes 6 hours. Alternatively, you can drive; or take a train. Expect a bit warmer temperatures when traveling from Sydney in March; daily highs in Cairns reach 36°C and lows reach 27°C. Finish your sightseeing early on the 16th (Sat) to allow enough time to travel back home.